Over 200 games, activities, and crafts bring memorable fun and excitement to Scripture learning when combined with the Bible Fact-Pak cards. 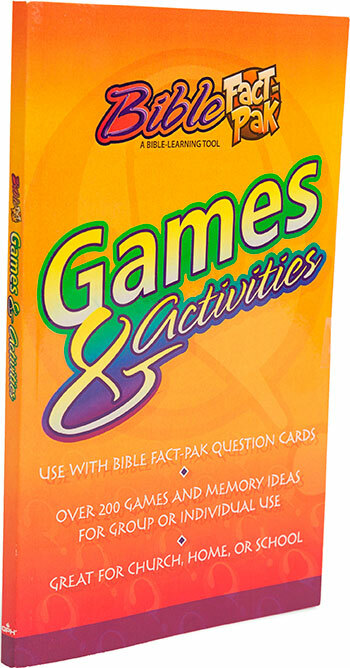 Flexible for groups and individuals, The Bible Fact-Pak Games and Activities includes an index for quick referencing. Paper.